Adults are now allowed to grow up to 4 cannabis plants per household – depending on your province and your strata or landlord’s rules, of course! 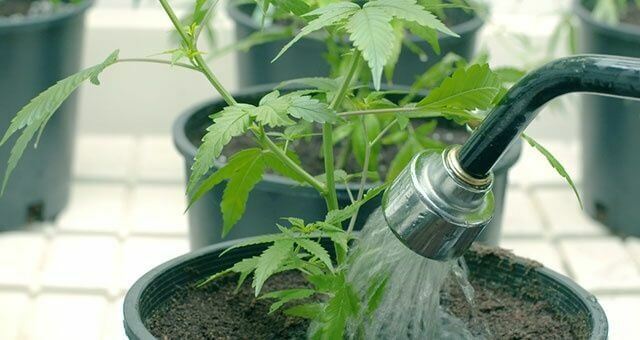 We know that many people are considering growing their own weed at home and might be wondering how to get started. 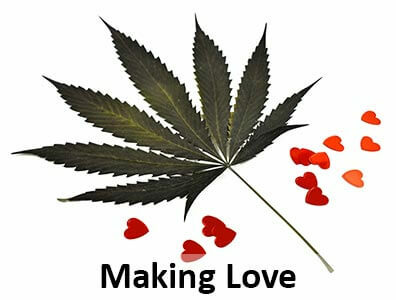 Cannabis is well loved in Canada. But being a plant native to the hot climates of Asia, it might be tricky (especially for the inexperienced gardener) to keep the plants alive in the cold winters of the True North. Even those with 'green thumbs' can find themselves less than certain of what way to go when it comes to choices like: soil or hydroponic? 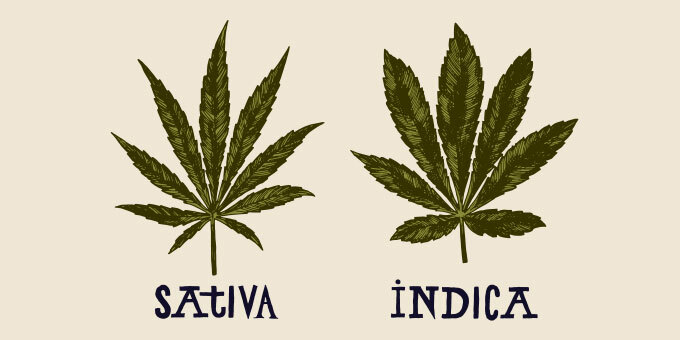 Sativa or Indica? 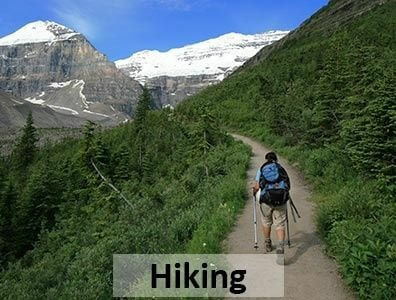 Indoors or outdoors? Seeds or clones? 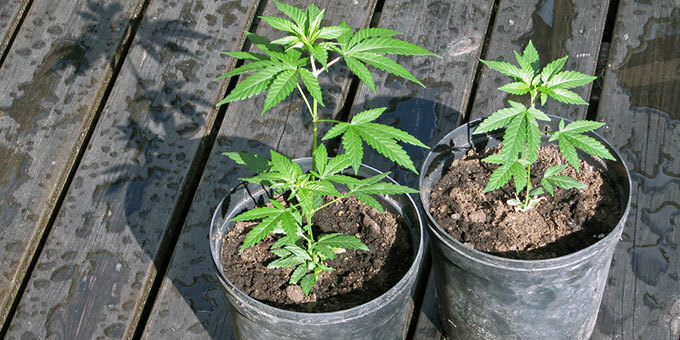 Well, sit back and let us guide you through the basics of growing marijuana. 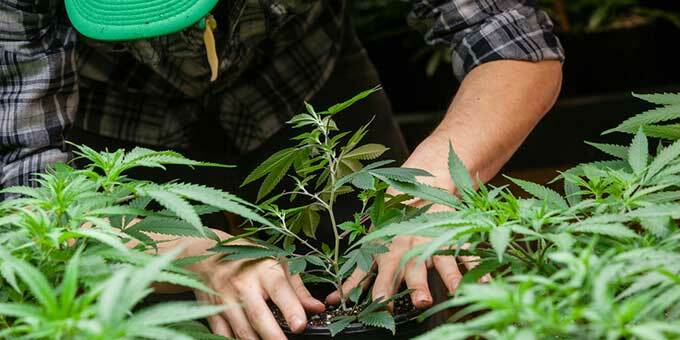 This Cannabis Cultivation Guide has been carefully crafted to provide you with all the information you need to start growing (and smoking, vaping or cooking with) your own weed. From how to select your seeds to cloning adult plants into new ones with the same characteristics and flavours, techniques and equipment for growing cannabis indoors and outdoors, how to care for your cannabis plants, watering schedule, supplements and fertilizers, improving your terpene profiles and best practices for harvesting, drying and curing marijuana buds, look no further than Beaver Bud's Cannabis Cultivation Guide. First time grower? Check our Strains Section and discover the best strains to get started with your crops! Our Cannabis Cultivation Guide is updated frequently, so don’t forget to check back soon for new tips and information. Do you have a question about Growing Cannabis at home that is not covered on our Cannabis Cultivation Guide? 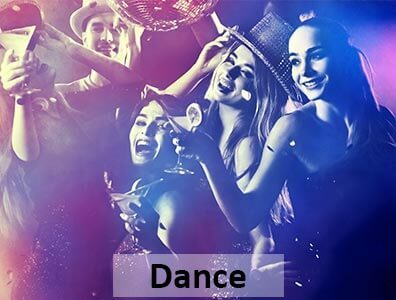 Contact Us and let us know, and we will do our best to cover it in a new article. With marijuana legalization in Canada already a month behind us, many people across the country are wondering how to grow marijuana at home. Most of you will know that the new laws mean you are now allowed to cultivate up to four plants in your own home for personal consumption. What many may not know is that growing high-quality weed involves a lot more than just getting your seed to sprout and caring for the plant. Knowing when to harvest cannabis is very much an important part of the equation if you’re planning to grow good weed. There are many factors that go into successfully growing marijuana, and if we were to cover it all here we’d keep you reading for a week! In one of our previous articles, we covered the basics of growing cannabis. 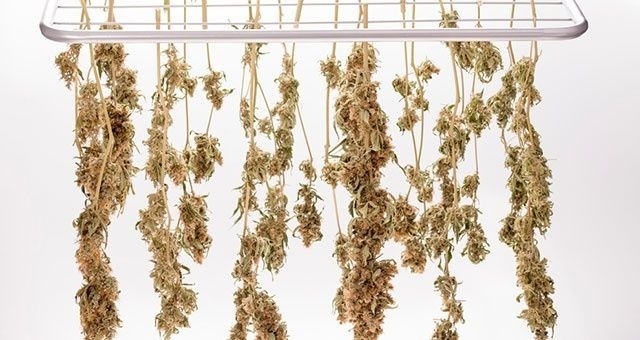 Let’s skip ahead to what’s often the more challenging part and focus instead on when to harvest cannabis as well as how to dry weed and the best ways of drying and curing marijuana. 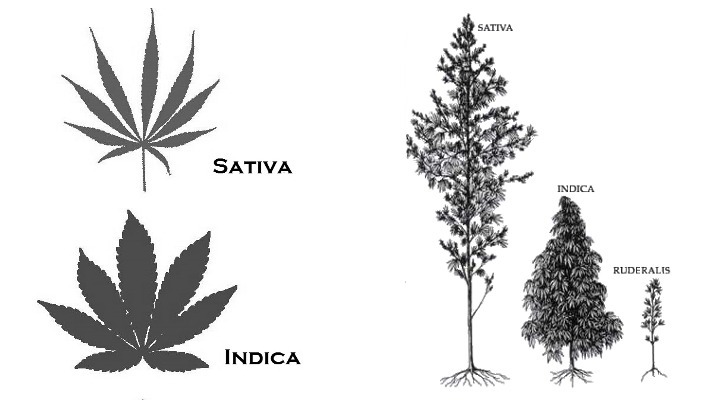 There are two primary methods for determining when to harvest cannabis – the pistil method and the trichome method. 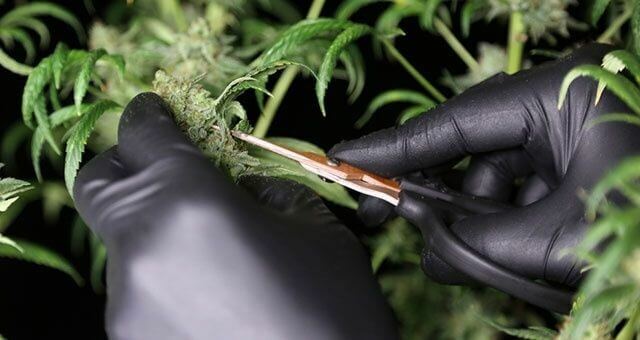 The pistil method is quite straightforward and can be conducted by even the most novice and unequipped of growers, while the trichome method is more detailed and will require you to have certain tools at your disposal. Let’s have a look at them first, and then we’ll discuss drying marijuana and curing marijuana. Pistils are the small and thin white hairs found sticking out from amongst the buds while they are growing. Following the pistil method of determining if your weed is ready for harvest is quite simple; if they are white and sticking out straight then it is too early to harvest them. You need to wait until the pistils darken and being to curl in. 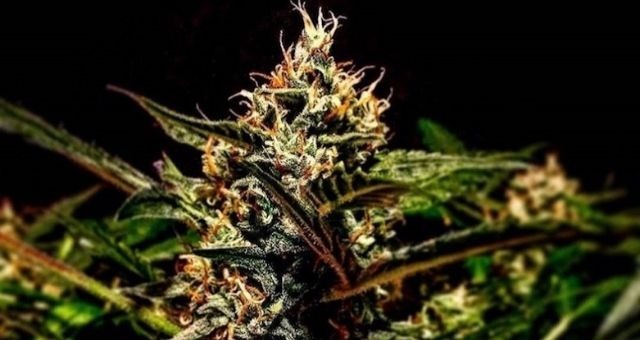 Harvesting at 60 to 70% darkened pistils will mean you get the highest levels of THC in your bud, and you should never harvest when the total number of darkened, curling pistils is less than 40%. 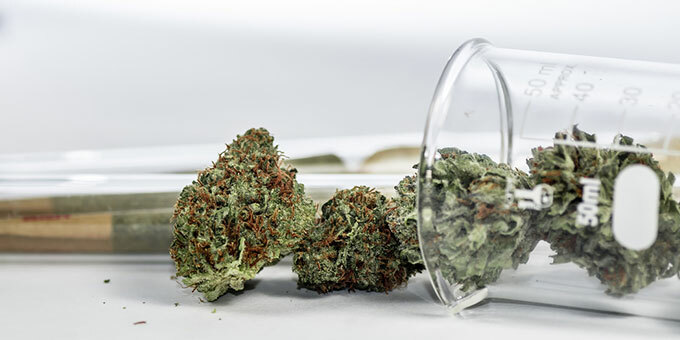 Waiting until you have a 70 – 90% count means you will have buds with more of a balance between THC and CBD, and this tends to be preferable for people who are growing for medicinal / therapeutic purposes. Discussing when to harvest cannabis should include noting that some strains will produce new pistils even as the older and more numerous pistils are indicating it’s time to harvest. You can ignore these, and harvest the buds. Note as well that some strains keep most of their pistils white even when they’re ready for harvest. They should still be curling inwards though. We’re big fans of simplicity, so here’s a great tip – search online for pictures of what your strain should look like when it’s fully ripened and ready for buds to be picked. 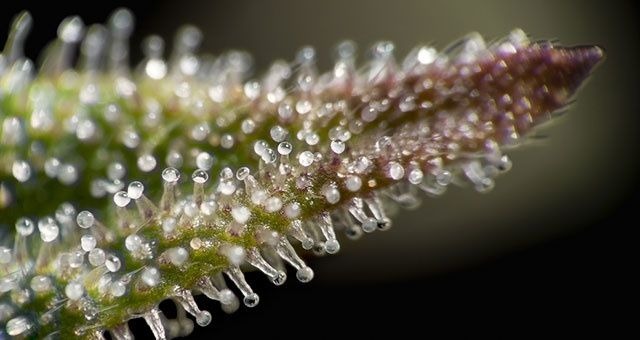 Trichomes are extremely miniature, so it is best to have some way of magnifying them. A jeweler’s loupe is a good choice for those working with a budget, as they’re relatively inexpensive. A digital microscope is a better choice, and while they can be more expensive they do have a big advantage. 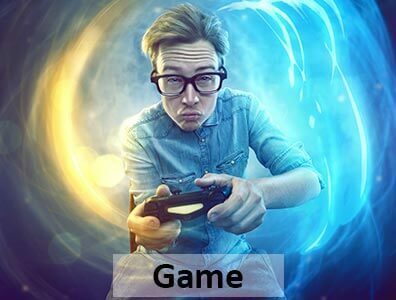 You’re able to record footage for reviewing it more comfortably later with the larger screen of your computer or notebook. The specifics of the trichomes method involves seeing how clear or ‘cloudy’ the trichomes are. If trichomes are clear, they haven’t developed many cannabinoid stores within them. Once trichomes start to become cloudy then you can know that they are starting to build up their cannabinoid levels. When trichomes are half clear / half cloudy the buds are still growing. However, they can be harvested for marijuana that produces more of an upbeat, energetic, and ‘rush’ high. Buds are at or near maximum growth when the trichomes are mostly cloudy and 50 to 70% of the hairs have darkened. 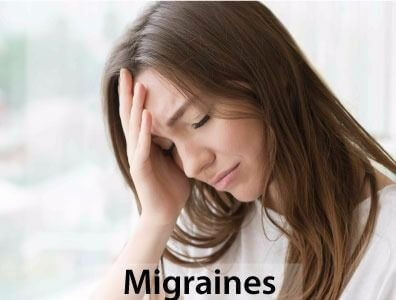 They can be harvested for a yield of crop that provides the most intense euphoric high, along with plenty of pain relief for anyone aiming to use medicinally. These buds will have the highest levels of THC, and typically fairly high levels of CBD and CBN as well. When trichomes become cloudy and start to have a slightly amber hue to them they are fully grown and have reached full maturity as well. 70 to 90% of the pistils will have darkened by this point too, and this bud will be more of an equal balance of CBD and THC with more CBN. 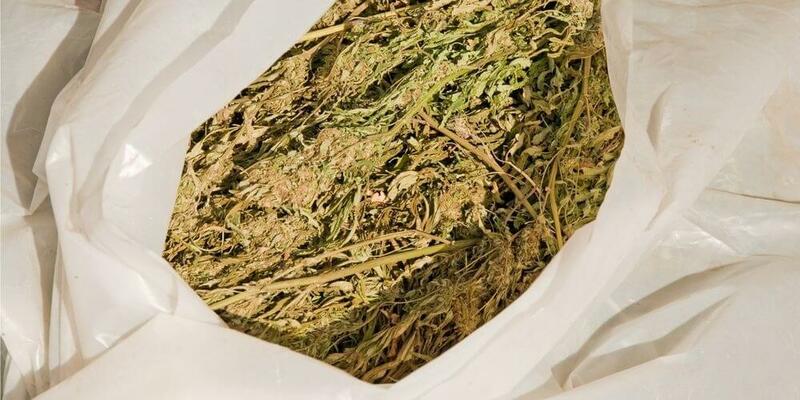 It will provide a more narcotic and sedating high that is better for those using to improve relaxation, and many people say this weed gives them a nice ‘body high’. 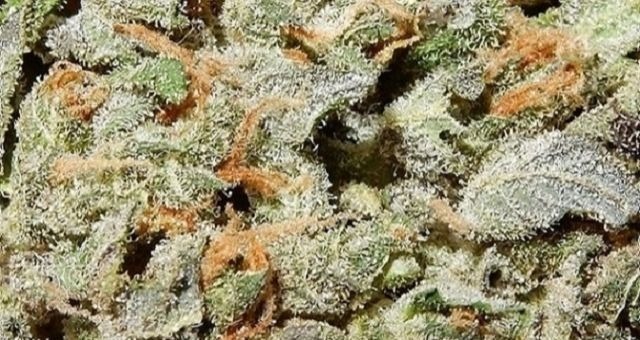 Some sativa and haze strains have trichomes that never really turn amber, even after they’ve become plenty cloudy. This is a fairly simple but reliable way of knowing when to harvest cannabis. Keep in mind that harvesting any type of bud especially late will mean it has more sedative and less psychoactive potential. Trichomes that start looking more solid grey rather than cloudy, or appear to be withering, are past their harvesting prime. 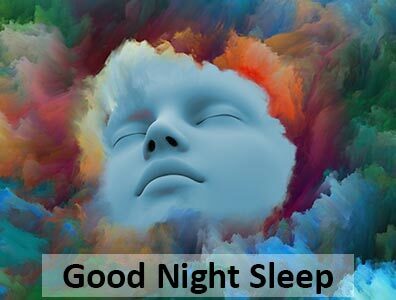 The buds will often do little more than make you sleepy. Buds are best dried at room temperature – around 21 degrees Celsius, and with 50% humidity. Growers will often adjust their environment with air conditioners, evaporative coolers, humidifiers or dehumidifiers, or heaters. Allow your buds to dry slowly over 3 to 7 days, and a good way to test if they’re sufficiently dry is to try bend the stems from the stalk. If they snap off rather than bend then your bud is dry enough to move to curing it. One last note is never try to ‘quick dry’ your buds using a heat source. It will make them taste harsh and unpleasant. Last up in our discussion of when to harvest cannabis is the process of curing marijuana. Curing well goes a long way to having buds that are perfect mix of flavour and potency. 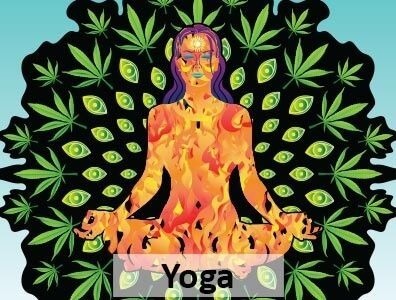 The most important factor for curing dried marijuana well is to control the humidity of the environment. 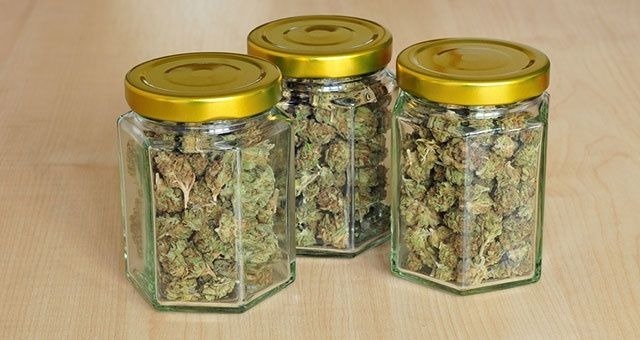 However, do not measure for humidity anytime within the first 2 days of placing your buds in the jars. They need time to ‘sweat’ – eliminating moisture contained in the middle of the bud that needs to move outwards towards the exterior. Wet (Determined or estimated to be 70% relative humidity) – place buds outside jar for half a day to a full day. Remove them immediately as continuing to let them rest against each other in this condition can promote mould growth. Dry for anywhere from 2 weeks to 1 month as necessary. We hope this guide is useful to determine when to harvest cannabis and how to dry and cure your herb! Cloning is a bit of a hot-button issue in the world these days. Only as far as cloning humans is concerned though. That’s fair enough considering all the moral, ethical, and spiritual considerations that come along with premise of replicating a human life. There’s no such questions to be debated in the botany world, and cloning plants has been done with much success for decades now. For example, cloning marijuana is an example of this approach to growing plants is a hit with home grow enthusiasts around the world. You CAN grow a marijuana plant from a seed, but if want the same strain with exactly the same properties, and in some case the same unique characteristics, then you will need to clone it. If you ask an expert about how this process works, be prepared to absorb a LOT of information. But ask them how to make clones from weed plants and you’ll find it’s quite straightforward. 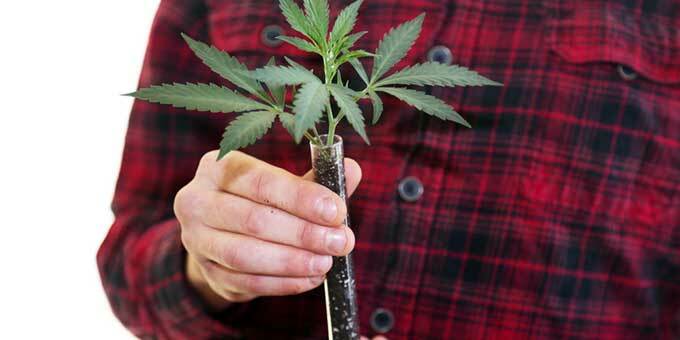 Not as easy as it is to buy marijuana clones, but those of you who like being hands-on with your home grow experiments will want to give cloning marijuana a try. 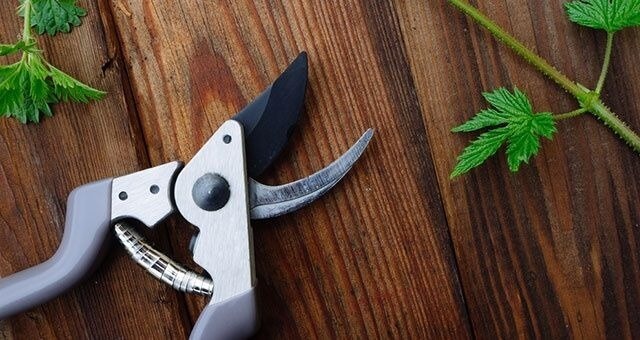 An overview of cloning marijuana will explain how it involves cutting of a small piece of an existing marijuana plant and then having that plants develop its own roots. The cut piece of plant will have the same gender and exact same genetic structure as its donor plant, meaning that the plant that eventually regrows itself from the cut piece will too. 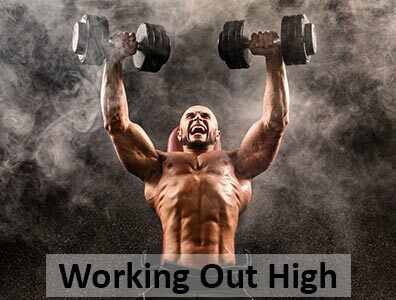 Let’s say you have a particular marijuana plant that’s especially healthy and hardy and gives you a bountiful yield of exactly the type of bud you love. Would the sound of having a number of those EXACT same plants sound good to you? Darn right it would, and if you have that plant then achieving this is entirely possible. 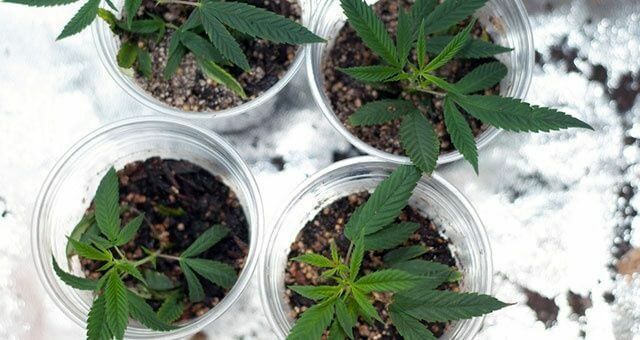 The first consideration you’ll need to have when cloning marijuana is that a ‘mother’ plant will be required to get the clones from. Obviously, choosing a female plant that displays signs of vigor and good health is best. 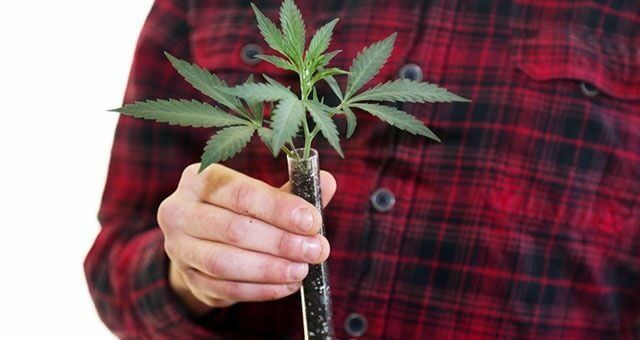 If you have one of those you’ve likely at least mastered the basics of how to grow marijuana, but now you’re about to start down a whole new path. 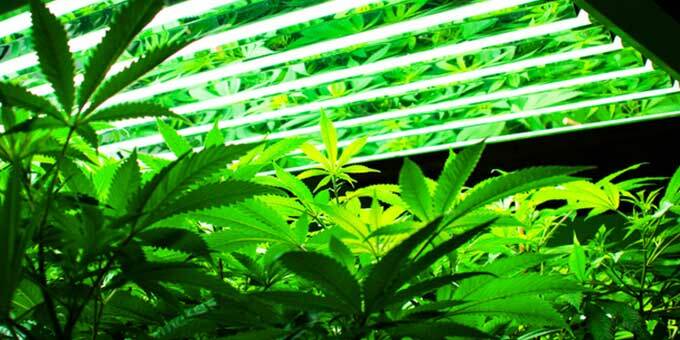 Proper lighting – This will be very well understood if you already know how to grow cannabis, but we’ll go over it again briefly in case it’s not. 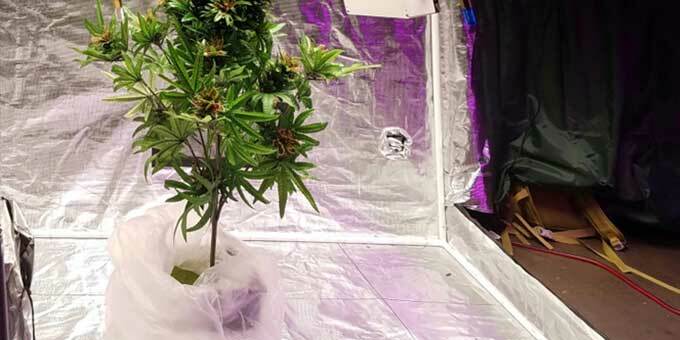 Natural sunlight is best of course, but that’s not possible for many growers much of the time. If that’s your situation, T5 grow lights are the best for clones and seedlings, and especially when suspended 8 or 9” above your clones. Depending on your situation you may need more supplies, but everyone who’s going to try cloning marijuana will need these four. Alright, we’re now going to assume that you’ve got your healthy mother plant and all the supplies you need to start. The first thing you’ll do is determine the readiness of your mother plant. There is one basic criteria for this; if the leaf shoots or nodes of the plant are alternating (which means not connecting at the same point on the stem) it is mature and ready for cloning. Next, soak the starter cubes in water for just a few minutes. No longer. This is important – soak them too long and you’ll reduce the effectiveness with which they’ll promote the clones developing a good root. 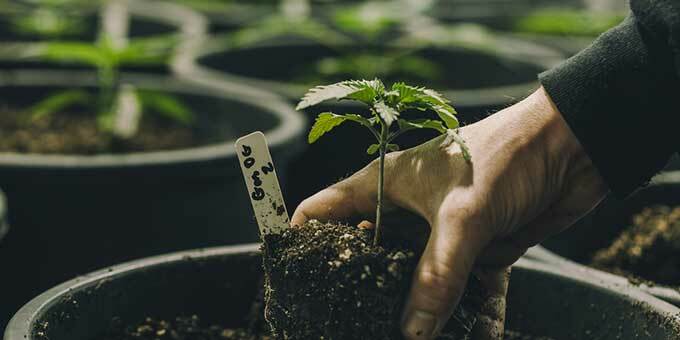 Now let’s get down to the hands-on part of how to make clones from weed plants. You want to clip new growth tips on the plants, where there is a new branching and a new top. It is also better to take your clippings from the lower half of your plant, as these leaf shoots have more rooting hormones than those higher up. They will grow roots more quickly because of these hormones. These growths should be easy to identify being right on the top and often a much lighter green in colour. Immediately after this you should place the cutting into a glass of water, and do the same for all cuttings you take. After a short period of time you can remove them and trim off huge lower leaves or clip top fan leaves. Return to the water right after doing so. Once removed, if you’re going to use cloning gel or cloning powder now is the time. If not, proceed to place your new clones into moistened starter cubes. Press around the bottom of them to ensure they’re well sealed. The last tip here is to keep your resettled clones out of grow lighting for the first couple of days to give them a chance to settle. 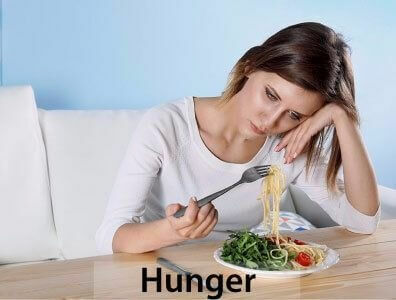 No longer than 2 days though. And once you do start to give them lighting, don’t give them 24 hours of it. 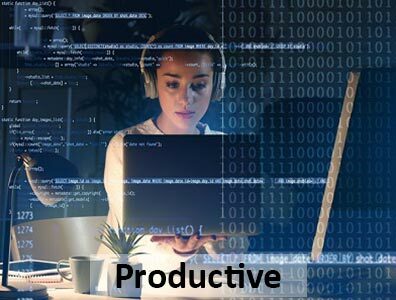 16-18 hours a day is better. 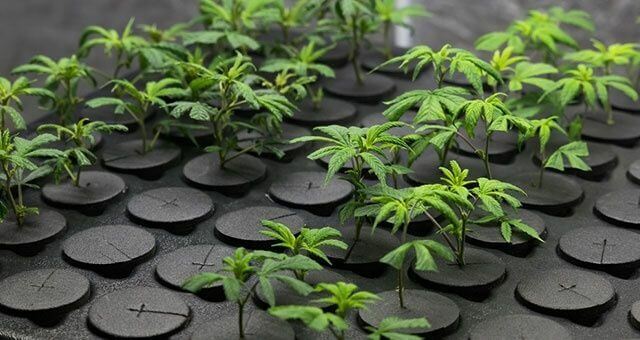 Just like that you’ve got no need to buy marijuana clones, you’re now sufficiently in the know to create your own using nothing more than your existing crop and a few supplies. When trying to grow your own cannabis, each marijuana leaf can tell a story about the current health of the plant. 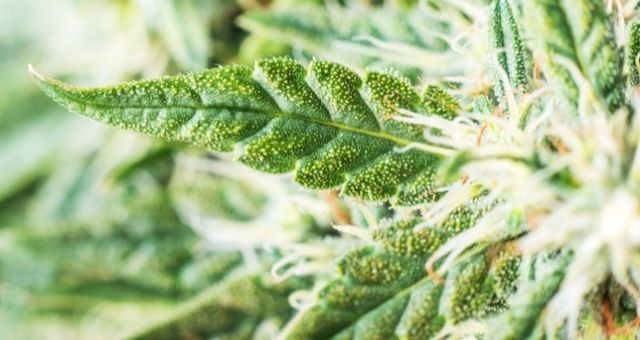 Underlying marijuana plant problems often show up in very obvious ways. 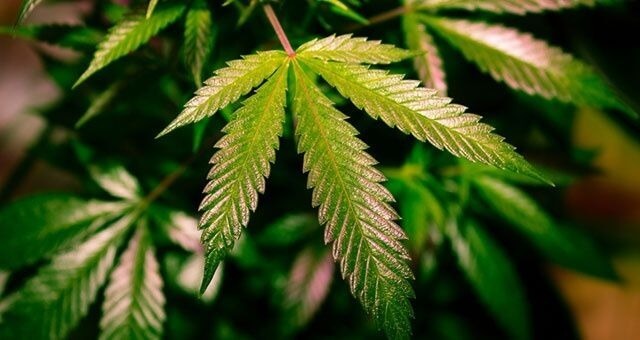 Yellow leaves on a cannabis plant can indicate a nutrient deficiency, for instance. 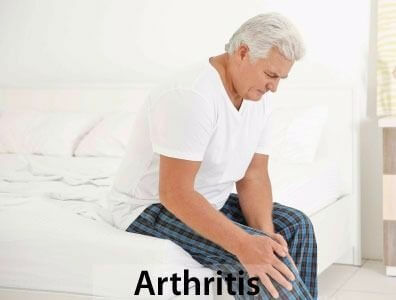 Or, you may see cannabis low humidity symptoms, such as slow growth in young plants. 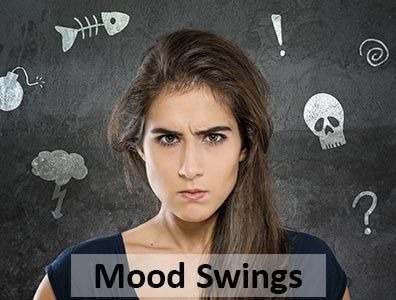 Luckily, all of these problems can be fixed, as long as you catch them early enough! 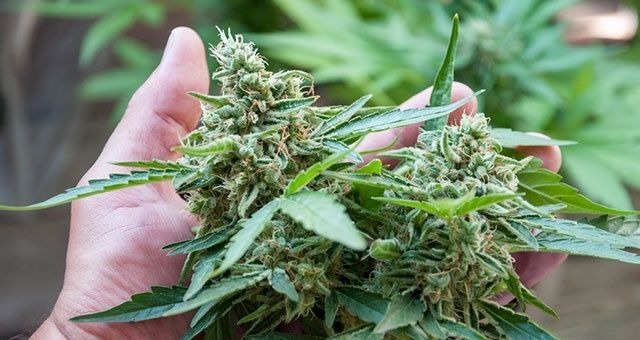 Cannabis may not be as easy to grow as industrial hemp, but it’s still not nearly as picky as other plants. 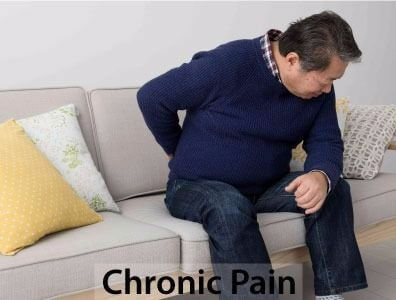 To help you deduce exactly what your marijuana plant needs, you can use the following marijuana leaf symptoms to diagnose problems early on and hopefully fix them to have a great harvest. Droopy leaves usually relate to not giving the cannabis plant the right amount of water. Your first step is to rule out underwatering. If you’re underwatering your plant, this is one of the easier problems to fix. But if you wait too long, you can easily stunt its growth or kill off your entire plant. An underwatered plant will have dry soil. All you have to do to check the soil dampness is poke your finger into the soil about an inch deep – just enough to creep past your first knuckle. If the soil feels light, airy, and as dry as desert sand, then you haven’t been giving the plant enough water. Ideally, you will water the plant every 2-3 days. If your soil gets dry much more consistently than that, you should use a richer soil that absorbs more water. You may also be using too small of a pot, which causes the roots to drink up all available water faster than usual. On the other hand, if you poke your finger in the soil and feel that it’s damp, you may have overwatered your plant. Overwatering is a serious problem that should be addressed immediately. If you don’t address it, you could starve your plant of oxygen and cause root rot. Your first step is to commit to not watering the plant for at least two days. Also, check the current soil water levels and how the plant is potted in general. Make sure the bottom has ample drainage. If you have too little drainage, consider drilling more holes into the pot, repotting the plant with a gravel/soil mix on the bottom, or downsizing the pot in general. Yellow leaves on your cannabis plant can indicate a broad range of problems with your marijuana plant, most of them related to nutrition. First, you want to rule out overwatering or underwatering issues as described above. Either problem can lead to plant death, which causes yellow leaves and dropped leaves, especially if the plant has contracted root rot. Yellow or brown tips – Nutrient burn, which comes from giving the plant too many nutrients or nutrients in too high of a concentration. Top inner leaves turning yellow and white – Iron deficiency. Lower leaves with oldest growth turn yellow between veins – Magnesium deficiency. Leaves turning yellow between veins with brown spots – Manganese deficiency. Lower leaves yellowing and falling off – Nitrogen deficiency. Yellow along smaller veins with brown or yellow edges – Potassium deficiency. Lower leaves turning yellow at base, spreading to tips – Sulfur deficiency. Top leaves turning greenish yellow – Zinc deficiency. Upper leaves dark with tips and edges turning yellow – Copper deficiency. Yellowing stems that feel hollow, brown spots – Calcium deficiency. Newer growth is thick and unusual looking, with yellowing and brown spots – Boron deficiency. 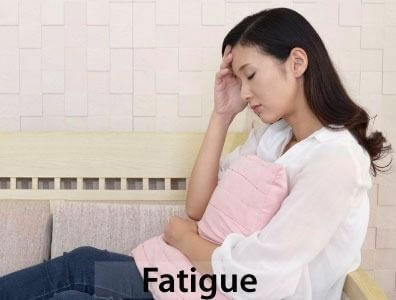 Because many of these symptoms appear similar, you may find benefits in keeping a log of your plant’s nutritional intake. You can also experiment with supplementing just one plant exhibiting these problems with a nutrient, while leaving a control plant alone to see if the problem clears up. Balanced nutrition is key to getting the cannabinoids and terpene profile you desire out of your final product. Also be aware that marijuana leaf discoloration can come from plants that burnt by grow lights or sunlight. Curling downward can be the result of underwatering. Curling upward can be caused by heat stress. Marijuana leaves that are curled away from the plant can indicate windburn, usually as a result of being too close to a nearby fan. 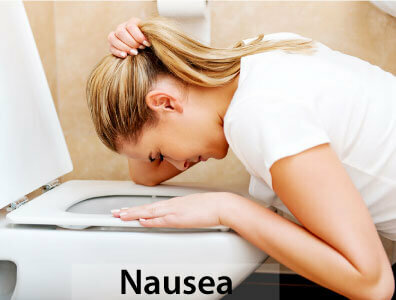 Another condition can cause a particular type of curling called “nitrogen toxicity”. Nitrogen toxicity occurs when too much nitrogen is present in the plant or the soil. 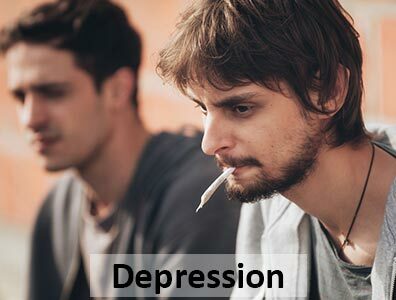 You will see dark green marijuana leaf colourations with the tips of the leaves curled aggressively downward. In addition to watered soil, cannabis plants prefer a mildly humid environment. This humidity allows the plant to absorb water through stoma, microscopic holes found underneath the marijuana leaf. For young plants, the ideal relative humidity is 70%. This level ensures that the plant can absorb plenty of water without having to rely upon its root system. Also, if the humidity is too low, the plant may shut out its stomata (the plural of stoma) and cause growth to slow to a crawl. 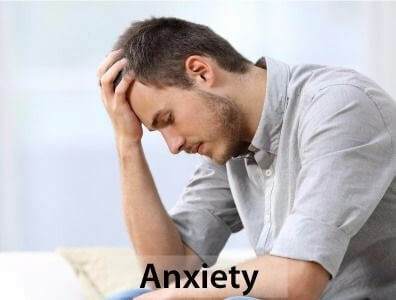 Extremely slow plant growth is one of the most common cannabis low humidity symptoms. On the other hand, if the humidity is left too high, the plant will absorb less water through its roots, which leads to fewer nutrients in the plant. 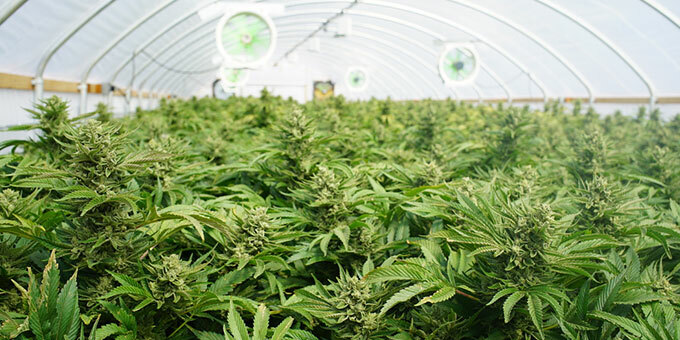 After the young plant’s growth spurt, reduce the relative humidity in the room by 5% each week to around 40% for a maturing plant getting ready to bud. 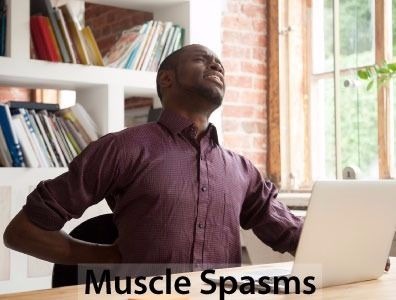 Your plant may experience a number of other problems, including bugs, mold, and viruses. 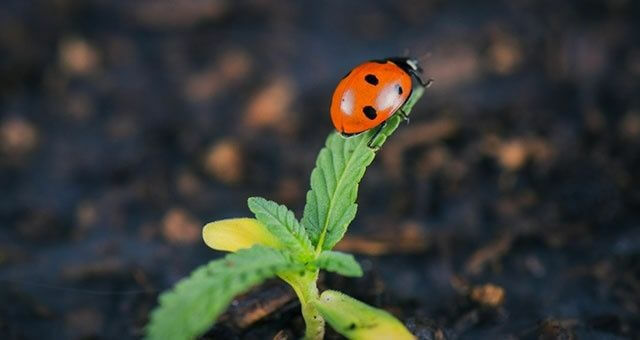 Bugs leave telltale signs on cannabis leaves and in the soil. You may see tiny bites on your plant or unusual “bubbles” throughout the leaves. The leaves may also curl and turn glossy or waxy, indicating that aphids or mites may be sucking the leaves dry. If you are having cannabis plant issues that can’t be diagnosed by any of the above tips, look for signs of infestation on your plant or in your soil. Check your water levels, check your soil pH, adjust temperature and humidity, and keep a close eye out for any other emerging symptoms. 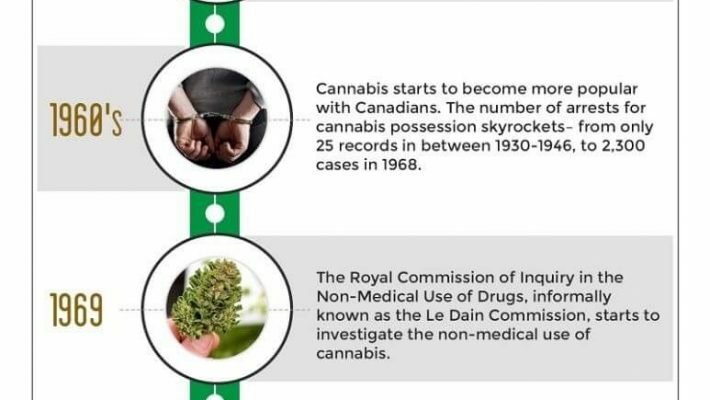 Just a month away from legalization of recreational cannabis, this infographic shows the History of Marijuana in Canada, answering pressing questions like “Why is marijuana illegal?”, and “when did marijuana prohibition start?”. For accessibility purposes, we have provided the infographic transcription just below the image. 1606 – Hemp was planted for the first time in Canada, in Port Royal (Nova Scotia). France required that the colonies grew hemp crops to provide for the French Navy. 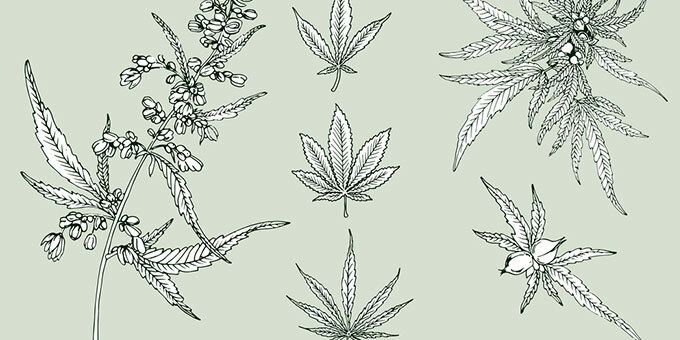 1800s – Cannabis is commonly used in Canada (and in countries like England and the United States) as medication. 1922 – Emily Murphy publishes her book The Black Candle, which included a chapter titled “Marahuana: A New Menace” denouncing the “risks” of cannabis. The publishing of The Black Candle is commonly seen as a primary reason prohibition began the following year. 1923 – Parliament outlaws cannabis through the Opium and Narcotic Drug Act, along with heroin and codeine. Canada was one of the first countries to make marijuana illegal. 1937 – Canadian Police seize marijuana for the very first time. Cannabis did not receive much attention from the authorities in Canada until the late 1930s. 1938 – the Commercial cultivation of hemp also becomes illegal. 1960s – Cannabis starts to become more popular with Canadians. The number of arrests for cannabis possession skyrockets– from only 25 records in between 1930-1946, to 2,300 cases in 1968. 1969 – The Royal Commission of Inquiry in the Non-Medical Use of Drugs, informally known as the Le Dain Commission, starts to investigate the non-medical use of cannabis. 1971 – The first “smoke-in” protest on Vancouver’s drug policies happens in Gastown. What started as a peaceful civil act ended in chaos – and would be later known as “The Gastown Riot”. 1972 – The Le Dain Commission report recommends that criminal penalties for cannabis possession should be dropped, but no changes are made to the legislation. In the same year, the RCMP reports a record number of 12k arrests for marijuana possession. 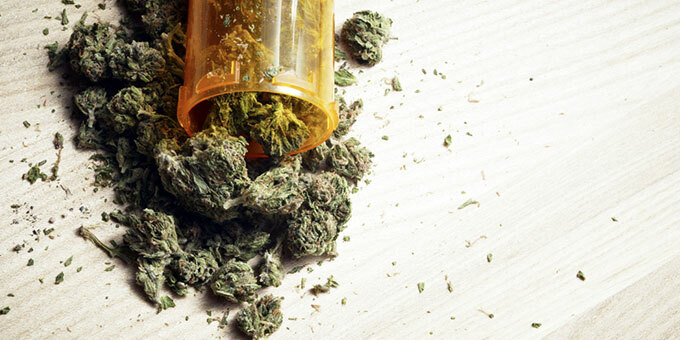 2000 – In the R. v. Parker case, the Court of Appeal for Ontario ruled that prohibition of marijuana possession for medical uses infringed on Canadian Charter of Rights and Freedoms after an epileptic patient was charged with possession and cultivation. 2001 – The Marijuana Medical Access Regulations (MMAR) was enacted, making Canada the first country to legalize medical cannabis. 2015 –Justin Trudeau is elected Prime Minister with recreational cannabis legalization as part of his political platform. 2016 – The Government of Canada starts to work on legislation to regulate the use, production, and sales of recreational Cannabis. 2017 – Bill C-45, also known as Cannabis Act, is passed by the House of Commons. Provincial Governments start to draw their regulations for Cannabis Legalization. 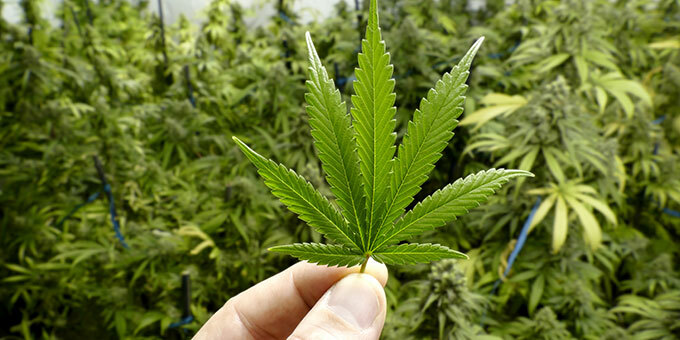 The first license for distribution of recreational cannabis was awarded. 2018 – Bill C-45 passes the Senate and receives Royal Assent in June, setting October 17, 2018, as the date for the legalization of recreational cannabis, 2018. Canada is the second country to legalize recreational cannabis, after Uruguay. The Globe and Mail. A Biography of Cannabis. July 2018. CBC News. Marijuana was Criminalized in 1923, but why?. May 2014. 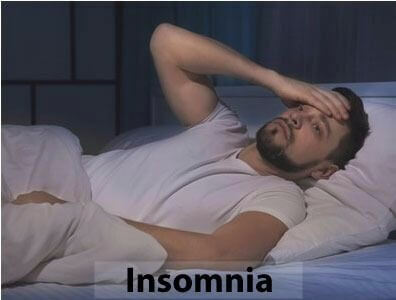 CanLII. R. v. Parker, 2000 CanLII 5762 (ON CA). July 2000. Sins of The City: Vancouver Police Museum & Archives. The Gastown Riots of 1971. April 2017. Parliament of Canada. Bill C-45 (Royal Assent). June 2018. Marc and Jodie Emery, marijuana activists, were both released on $30k bail this morning. Marc Emery’s bail conditions state that he must stay in Ontario and he cannot enter a cannabis store. Since Jodie is a BC resident, she is able to travel to BC, with permission. Three co-accused were also released on $30k bail. However, all five have to surrender their passports and cannot have any weapons. 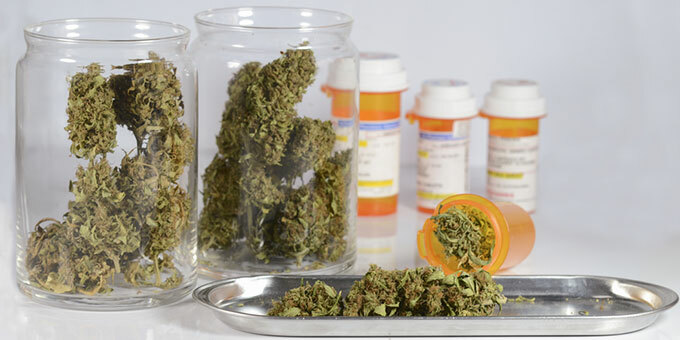 In addition, they cannot consume controlled substances without legitimate prescriptions. They have another court appearance on April 21. The well-known Emery couple were arrested on Wednesday night (March 8) at the Pearson International Airport. According to CBC News, their charges by Toronto Police are for drug trafficking, conspiracy to commit an indictable offence, and possession. According to the Vancouver Sun, the Emery’s own the Cannabis Culture brand, used by a chain of 19 marijuana dispensaries in BC, Ontario, and Quebec. It’s not the first time this couple, the “Prince” and “Princess of Pot”, are in the lime light with authorities. Marc Emery was also arrested in 2005 by the DEA. According to CTV, he got charges in the US for “Conspiracy to Distribute Marijuana, Conspiracy to Distribute Marijuana Seeds, and Conspiracy to Engage in Money Laundering”. Ultimately, Marc Emery spent 4 years behind bars and was free from US prison in 2014. Throughout his life, Marc Emery was in the New Democratic Party, the Freedom Party of Canada, the Marijuana Party of Canada, the Conservative Party of Canada, the BC Marijuana Party, and the Green Party of British Columbia. He and his wife are popular marijuana activists, so the news of their arrest on Wednesday sent media waves through the industry. However, the arrest wasn’t the only surprise this week. 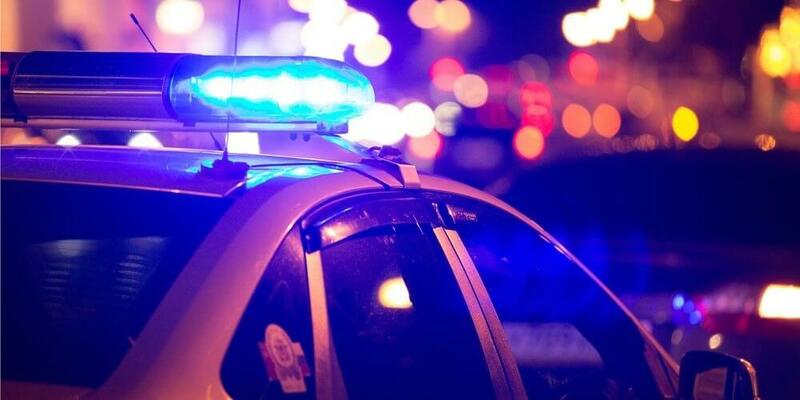 On Thursday morning, police raided the Cannabis Culture Dispensary HQ, as well as the Toronto and Hamilton Cannabis Culture Dispensary locations. The Cannabis Culture Dispensary raid was part of a Toronto Police operation “Project Gator“. It included 11 search warrants under the Criminal Code and Controlled Drugs and Substances Act. Project Gator dates back to May 26, 2016 when the Police raided 43 pot shops across Toronto. The raid, arresting 90 people and seizing hundreds of kilograms of drugs, was a shock to residents. On May 27, 2016 the Cannabis Culture Dispensary at 801 Queen St, Toronto, opened it’s doors. 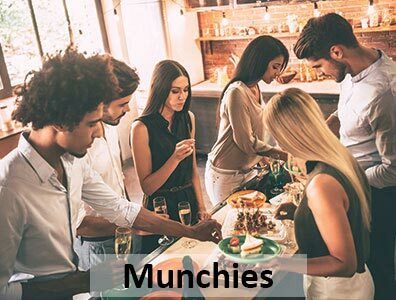 Jodie Emery said to the Toronto Sun “we do not want to force people to be sick or to fake illness or to pay a doctor for permission to access cannabis”. According to an indictment filed Thursday in a Toronto court, the Emery’s are accused of trafficking marijuana between last May 27 and this Thursday. During that same period, allegations include conspiracy to commit an indictable offence. This is by entering into an agreement to run a franchise whose main purpose is the trafficking of controlled substances” as recorded by the Vancouver Sun. Mark Pugash, director of corporate communication for Toronto police, spoke to CBC Toronto. He stated “We have been enforcing the law, which is absolutely clear that dispensaries are illegal”. The Police have spent nearly a full year, building a strong case against the accused. The data they collected specifically is currently unknown. However, more light will be shed on the case as we approach the next court appearance on April 21.